Styx: Shards of Darkness is not a graceful game. But as you play as the titular goblin, infamous for vomiting out clones, making sassy comments and generally being crude, it’s not meant to be graceful in its execution. But despite the strong mechanics that hold the game up, there is an unrefined quality that lets the game down. Styx: Shards of Darkness follows on from its original cult hit, delving deeper into the dark fantasy world established back in 2014. It’s a world that’s familiar in its generic-ness. Goblins are persecuted, humans are kind of boring, and elves are mysterious. While there is of course more depth than a surface level of someone’s first Dungeons and Dragons campaign, there lacks a satisfying blend of cultures and history and racial politics that more profound fantasy worlds explore. An oft-discussed issue in the world of Styx is the ‘Green Plague’, a huge influx of Goblins that have caused devastation across the human lands. 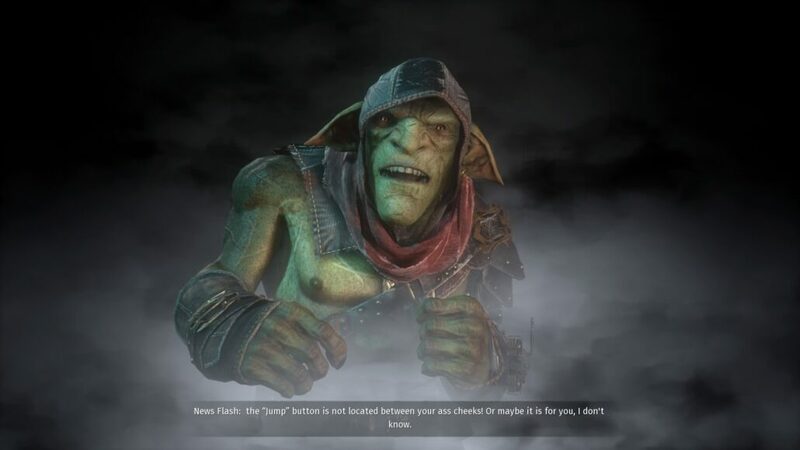 And while Styx waxes lyrical about the issue as he skulks through slums and brothels, we rarely actually see a Goblin, nor witness how their appearance is so destructive. Its little touches like that that let the immersive nature of the game down. 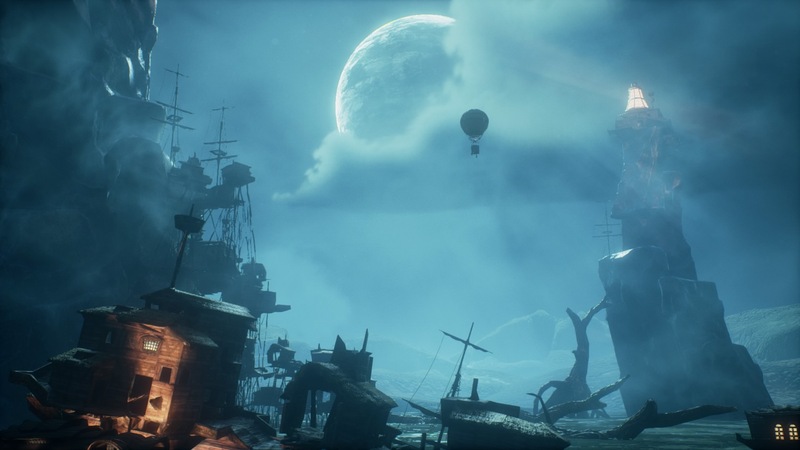 While not every game needs an encyclopedic codex akin to the Mass Effect or Dragon Age series, more visual storytelling and world building would have made Styx: Shards of Darkness much more enjoyable to explore. Cut scenes and dialogue offer only sparse glimpses of the world beyond the levels and always feel haphazard and rushed. Character personality and motive fall flat as well, as the game barely tries to explain why you’re doing anything. Even the world itself feels a bit empty, there aren’t any NPCs or lives being lived out in the streets, just empty structures and guards. As it happens, the levels of Shards of Darkness are sprawling affairs, with multiple routes through any given encounter, with scattered collectibles hidden across the map to entice players to search through the looming and sinking structures on offer. It is a very vertical game, surprising given the central characters short size. While guards often patrol the fairly obvious streets and walkways, glancing upwards normally exposes a few hidden routes across the rooftops and ropeworks above the city. The levels are also nicely varied, from the slums built above a swamp that is slowly swallowing them back to glided airships sailing above the world and subterranean cities built darkly into mountains. It would be great to see these locations interact with each other more, but it’s still a nice change of pace to load into the next location and find a completely different environment to the one you just left. Loading is one area the developers clearly spent a lot of their time. Styx: Shards of Darkness is not an easy game. It is designed to test your stealth abilities and there isn’t really another way to progress without sneaking. Enemies can cut you down remarkably quickly if they spot you and some are initially immune to assassinations forcing you to remain in the shadows whenever possible. Fortunately, reloading is only a few seconds long so defeat doesn’t interrupt the flow of the game. And despite its faults there is a nice, almost hypnotic flow to Shard of Darkness. You’ll begin each level much the same way as you slowly orient yourself to the objectives at hand and come to terms with the topology you’ll be working with. Then as you venture a little deeper you’ll probably find yourself sneaking around looking for the best routes to exploit before planning any daring use of Styx’s abilities that might be necessary. Although each level is different enough, you can start to find a rhythm in the way the game early on that keeps you progressing steadily, even on the harder difficulties. Things do get shaken up when you start planning out something special, though. While nearly everything can be overcome with a little patience and a sharp knife, some jobs require an extra touch. Styx, through the use of magical in-game Amber, has a few tricks up his sleeve that can be incredibly useful under the right conditions. Some of these abilities you’ll have straight away, such as invisibility. It’s great for getting you through a tough section but it doesn’t last long. Other starting abilities, like producing a clone can be upgraded over time, and offer alternate solutions that require a little more planning. While you can do exactly what you expect, from stealth kills to hiding in barrels, clones offer the player everything from makeshift checkpoints to a second pair of hands, and experimentation is key to utilizing their effectiveness. These moments break you out of the trace the rest of the game offers, and it does scratch a puzzle solving itch when you start to flawless execute a convoluted plan. There is a lot of good in this ungraceful game. At times, you can see the length of its budget, with looping, clunky animations and awkward, jarring controls, but there is a strong, satisfying game behind the flaws. With a dedication to old school, pure stealth gameplay, you might at first feel constrained by what you are able to do in the game, but the avenues to explore and abilities to use open up quickly, letting you find an enjoyable, sneaky playstyle to call your own. 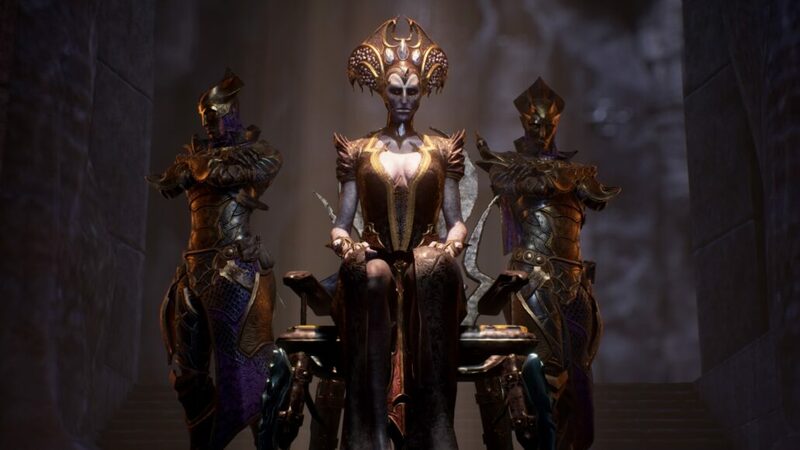 Styx: Shards of Darkness is not a game for those in need of a good story. You won’t be emotionally invested in our Goblins exploits or adventures, but for someone that yearns for the olden days, when stealth games were about stealth, this game lets you relive that experience. From memorizing patrol routes and planning all the scurries into the light, Styx: Shards of Darkness is a proper stealth game, albeit rough around the edges, just like the goblin himself.